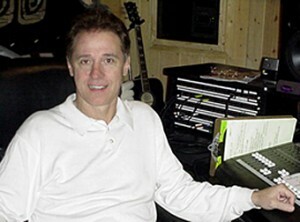 Keith Follese at his studio. For songwriter Keith Follese, who has co-written hits for Faith Hill, Tim McGraw and Martina McBride, the ability to write music in many different styles has been a challenging and prosperous adventure. In a recent interview, Follese recalled some of the highlights of his career and his long string of hits leading up to his award as ASCAP’s Songwriter Of The Year for 2001. A&M Records in Los Angeles gave Follese his first record deal, but his subsequent album wasn’t released for two years. ‘That was really the kiss of death,’ he said, ‘because pop music changes so much.’ He tried to form a band in Los Angeles, but found it very difficult. It was, however, a country artist who gave Follese his first #1 hit. Randy Travis recorded ‘Before You Kill Us All’ in February of 1993, and it went straight to number one on the country charts. Faith Hill’s recording of ‘The Way You Love Me’ garnered Follese ASCAP’s Songwriter of the Year award for 2001, and it was named co-winner with ‘I Hope You Dance’ for song of the year. The song was also nominated for a Grammy award. Within a 12-month period, Follese had a song at number one for 15 weeks. ‘I actually knocked myself out of number one,’ he said. His consecutive hits ‘The Way You Love Me,’ ‘I Love You’ (recorded by Martina McBride), and ‘Something Like That’ (Tim McGraw) kept him at number one for a remarkable 10 weeks in a row. Another hit Follese had during that year was ‘Smile,’ by Lonestar.